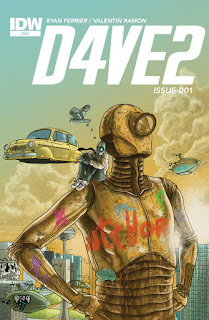 Last weekend I had a chance to interview Ryan Ferrier about his new series D4VE2, a sequel to his smash hit sci-fi comedy series D4VE from IDW Comics. We talked about the creation of series, and little about what's to come next. Enjoy. Billy Tournas: Hi Ryan, thanks for taking the time out for this interview. I cannot explain how excited I was to hear the news about another D4VE series! Since we last spoke (July 2014) D4VE was re-released in print form through IDW, and now has a sequel! Can you tell me a little about how all this came about? 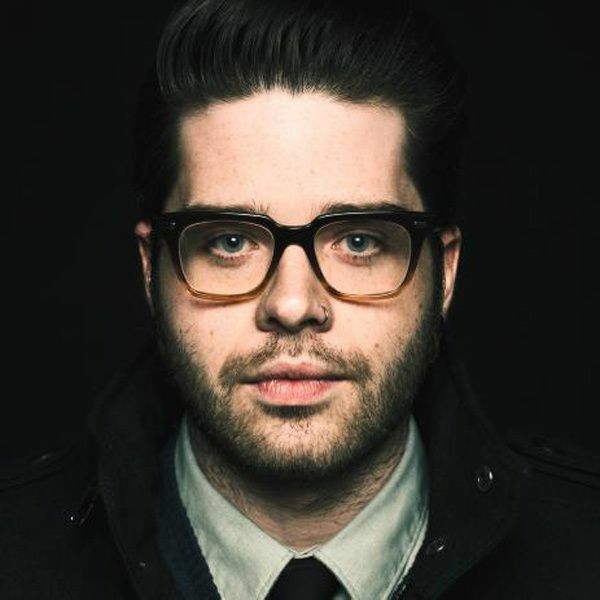 Ryan Ferrier: Thank you! I was incredibly excited when the opportunity first came up, to say the least. It was actually really quite quick and simple: the response and reaction to D4VE's single issue IDW releases was pretty great, and IDW believed in the series, so they floated the idea of continuing the story past Valentin and I. Little did they know that we had an outline for a second series stashed away. We pretty much went to work right away, and the timing was perfect enough that we could announce it in D4VE #5, leaving just a couple months to collect the trade and start D4VE2. We at team D4VE, including our wicked editor David Hedgecock, are a well-oiled, potty-mouthed machine. So, yeah--big, huge props to IDW for giving us the opportunity to dive back into 34RTH. 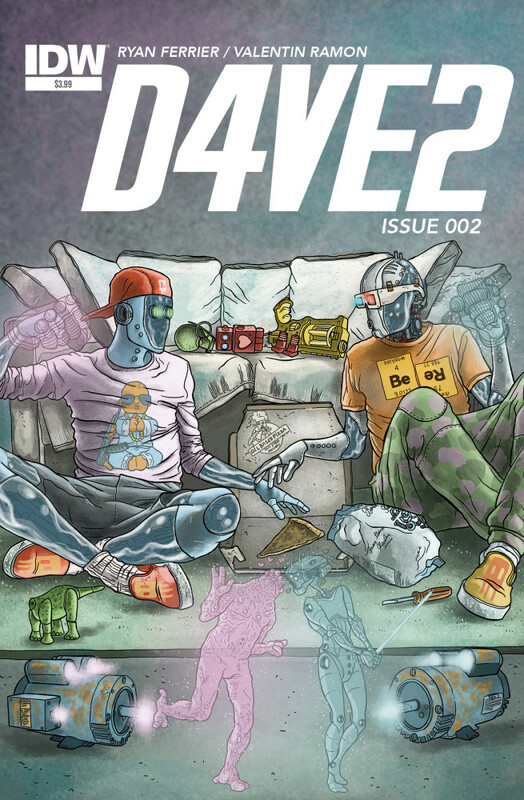 D4VE2 is being released in print format, was there any thoughts to release it through Monkeybrain first then print like the first series? It hadn't come up, no, as it was IDW who facilitated D4VE2. I must, MUST, acknowledge that Monkeybrain is entirely responsible for all of this, and we're so hugely grateful to Allison Baker and Chris Roberson. There will always be big, big love and admiration in our hearts for them and Monkeybrain, and everything they've helped put out into the world is phenomenal. D4VE's midlife crisis seems to have grown a lot more since the events of the first series. I'm assuming this is partly to do with the fallout from saving the world or is there more going to be slowly revealed? D4VE the character is definitely in a weird spot in the new series. You'd think, after the events of the first series, he'd be feeling pretty good, and while for the most part that's true--he is definitely in a better spot in life--life, as always, is a complicated, ever-turning machine. Where the first series was the story of this guy trying to climb out of the ashes of greatness, so to speak, this second series deals directly with the ramifications of his actions. In D4VE, he acknowledges his faults and takes responsibility for himself somewhat, but in D4VE2 he now has to make good on that. He has to, in many ways, atone for the things he's done. Some comments on the first series were along the lines of "...but he essentially committed genocide" in response to humanity. That plays inherently into D4VE2, and we are exploring that head-on. D4VE in the first volume was questioning what he wants to be; in D4VE2 he's hit with the stark realization of who he is, existentially. The same can be said for his son, 5COTTY, who is a huge, huge part of D4VE2. 5COTTY, like his father, is discovering who he really is, and for him, that's a huge burden when living in the shadow of a former-war-hero-turned-chump-turned-war-hero. D4VE2 deals with some very big stakes, ones that could literally re-write history, but really this is a much more personal story for D4VE and 5COTTY. There isn't a great all-out war like in volume one, but the risk is so much higher. 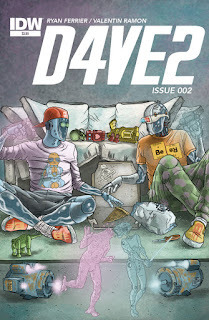 D4VE2 is one issue shorter than the previous series, any reason for that? There's no solid reason for that, no. With the first volume initially released through Monkeybrain, we had a lot more wiggle room in terms of page-counts, which varied from issue to issue. With D4VE2 we knew the story would fit succinctly in a four-issue arc, which seems to be turning into the norm for mini-series length. It's a good length, I think. Readers don't have to commit to months and months of story--not that it isn't something I'd love to tackle if the story dictated that--and it makes for a solid trade collection at the end of the day. 5COTTY is a fan favourite from the series and is a source of a lot of the comedy. 2 issues into the sequel you can see that he's grown quite a bit since the first series. Can you let me know the process in writing such an amazing character? Oh god, I love 5COTTY so much. He really is a wonderful character, I feel like he's his own entity even though Valentin and I created him. 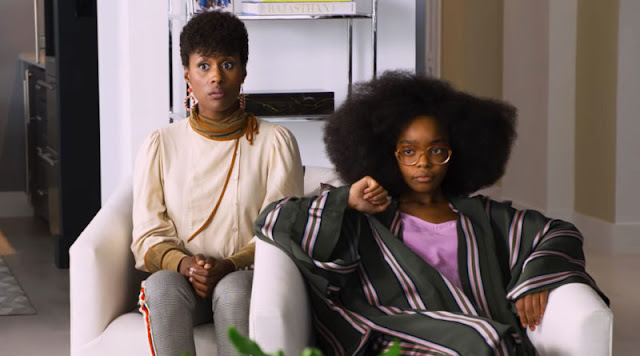 It was important--dare I say the linchpin of the new series--that 5COTTY really became someone, and not just a walking, talking jerk-off machine. And we're tackling that head-first in the new series. I think 5COTTY himself is figuring out who he is and who he wants to be, and part of that is growing up a little bit. But look at me, I'm in my 30's and farts are still hilarious, so he won't be growing up too much. There's an exchange between him and his father in the last issue that will sum up 5COTTY's character, and make you see D4VE in a different light as well. Though their relationship is so wildly dysfunctional, they both inform one another, and need each other to fully realize who they both are. And the really exciting part, for us, with the new series is diving feet-first into 5COTTY's love life; something that D4VE has completely failed at, but his son does wonderfully. I'm very proud of the kid. Much like the first series this reads very much like a collaborative book from you and Valentin Ramon. How is it working with him again on this universe you two created? Honestly, it's a dream come true to work with Valentin. It was as smooth as ever, and he is so good--so, so good. He's an complete and utter genius. There's things he puts in the pages that I couldn't have even dreamed of coming up with. It's an absolute pleasure. I often think we're psychically linked, he and I, which is both so satisfying, and so terrifying--no one should be in my head. But Val and I are practically kin. We are ROBOBROS. Another thing that the D4VE universe has brought to the world is word "Butthorn"! It's everywhere I look on social media. How do you feel about that? Well, I can't say anything concrete at the moment, but I assure you haven't seen the last of Tiger Lawyer. As for Curb Stomp...never say never. I'm definitely keeping busy though, and will have some pretty exciting announcements happening before the year's end. Beyond those, I'm having a blast cooking up some new worlds to play in with some amazing artists. Hopefully those will become something tangible sooner than later. D4VE2 #3 will be on sale November 11th. You can find it and the previous issues digitally from the IDW Publishing website, comiXology, or from your local Comic Book store. 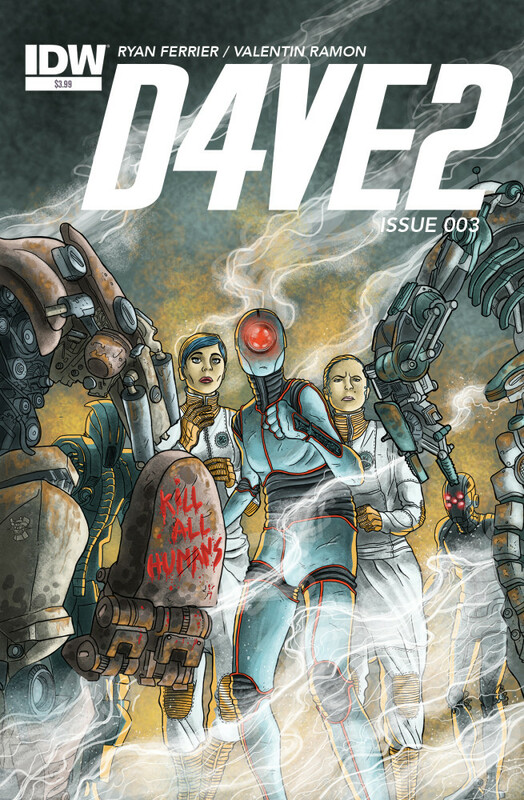 The first series, D4VE, can be found in Trade format at IDW Publishing website, or from your local Comic Book store. Single issues can also be found digitally at comiXology.